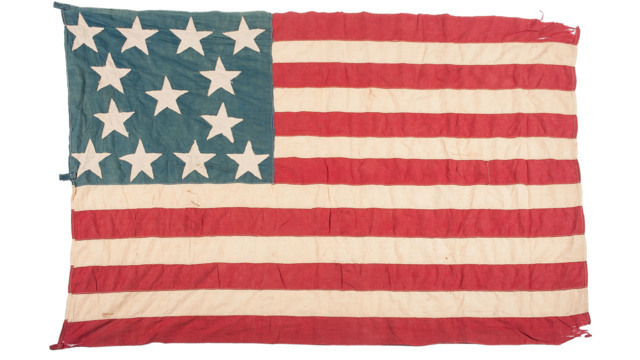 Cowan’s Fall American History: Premier Auction features over 200 lots including early photographs, documents, manuscripts, broadsides, flags, and more dating from the Revolutionary Period to the mid-20th Century. Included are items from the William Townsend Collection of Lincolniana, Helm Place, Lexington, KY; images from the Charles A. and Frances Swedlund Collection of Early Photography; property descended directly in the family of William F. Cody, and pieces from other prominent historical collections. Highlights include a War of 1812 horn cup of Colonel William E. Boswell, 10th Kentucky Light Infantry, depicting Fort Meigs; a pair of unpublished ninth plate daguerreotypes of Texas President, Governor, and US Senator, Sam Houston, and his wife Margaret Lea Houston; an exceptional Hannibal & St. Joseph Railroad broadside; a 48-star American flag purported to be the first flown at Normandy Beach; and many other important artifacts from landmark moments in American history.